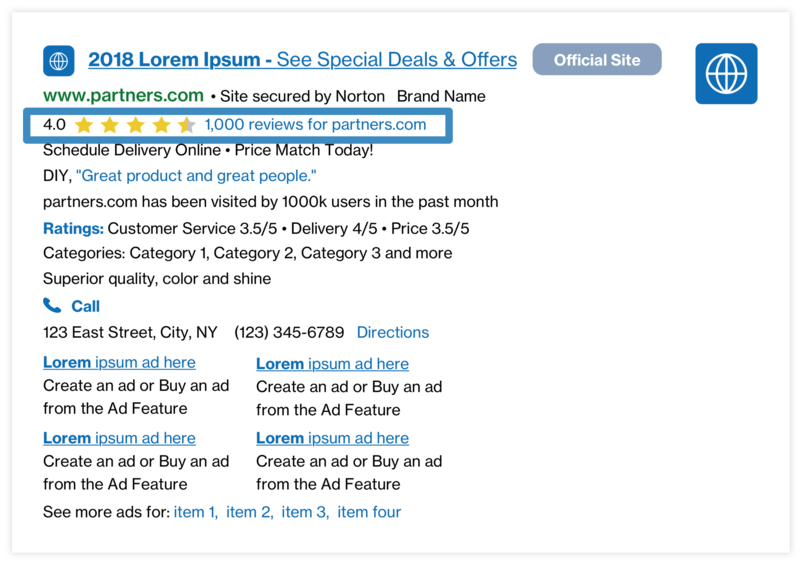 Merchant Ratings are star ratings plus the number of reviews for advertiser. It's an aggregation of experiences from past customers with certain business details, which can help potential customers make a buying decision with reduced risk. Merchant Ratings are provided by approved third-party merchant aggregator sites. This feature will only be returned for advertisers who have at least 20 reviews with at least 3.8 stars on one of these sites. Results: Some Partners have seen an estimated lift of +10-15% CTR. Results may vary.